I have lived in Delhi all my life continously for 35 years till 2016 end before moving to London and I am quite proud that I know Delhi inside out, there are very few places where I haven't been. I used to boast about my knowledge of Delhi, before Delhi metro took over I used to travel a lot everywhere in Buses. Metro changed a lot in our city and it has made it extremely easy to travel from extreme north to south but I was wondering one day that how many time do we travel to unknown places? Delhi is not a small city, it is really big place and many people never really travel to places that are not very popular. People who were born in North of the city do their schooling from schools nearby, they travel to colleges somewhere in the city and they work also at some place where there are lot of other offices. My point is that there are places in Delhi that never came into limelight for travellers and tourists. Only historians know about these places. 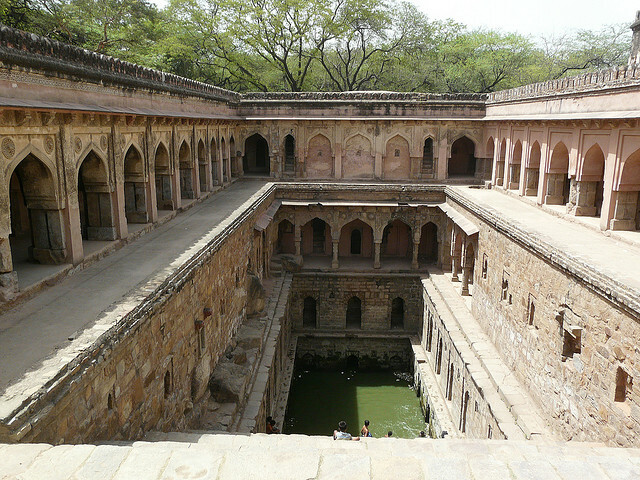 Delhi as a city has been a centre point in Indian history for several centuries and having lived in Delhi all my life and travelling almost everywhere in the city there are still many places which I never knew about. In this blog post I want to share some of the places which are almost forgotten by many. Please go to these places, take pictures and share with your friends. 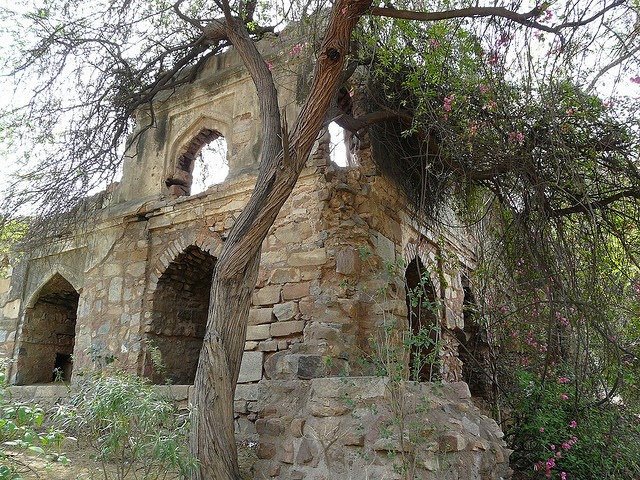 As you move towards Jain Dada Badi in Mehrauli (from Andheria Mod), you will find a lonely, but different architecture Lodhi era structure, which has the features of an open wall-mosque as well as a covered mosque. The rectangular mosque is a rumble and stone structure built on a high plinth. It has seven recessed arches running west to east and a set of five running north-south. The central mihrab is flanked by one minarets on each side. 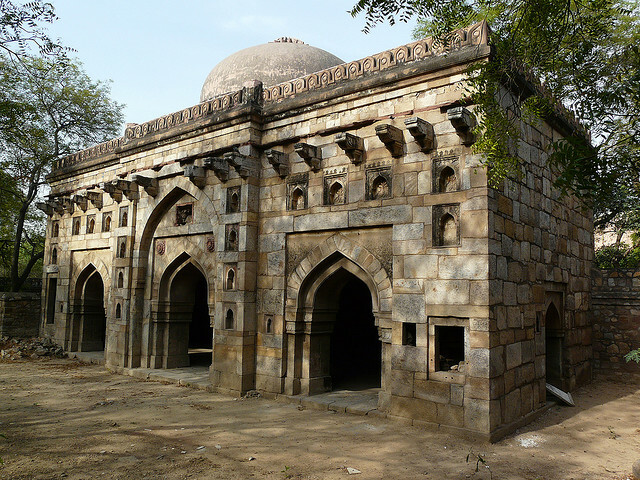 One of Delhi’s most beautiful mosques lies hidden from the city’s inhabitants. 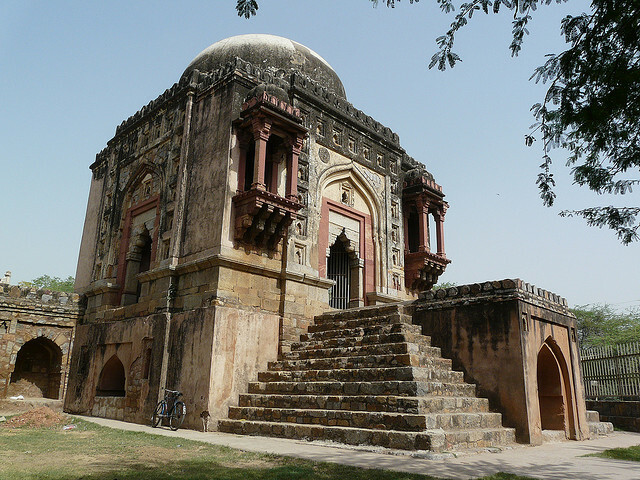 Close to the Siri Sports Complex (which derives its name from another ruined fortress within Delhi, Siri, subject of a future post), stands the elegant Mohammad Wala Mosque. I hope this post was useful. Enjoy.